Provide a unique blend of theory, research, and practice that offers clinicians an overarching framework for the concept of executive functions (EFs) in educational settings. The conceptual model of executive functions is detailed, including their role in behavior, learning, and production across all settings. The heart of the book focus on the practical issues involved in the use of assessment tools, tests, report writing, and the implementation and follow-up of targeted interventions using the EF model. Six case studies are introduced in Chapter 1 and followed throughout the book, building understanding of the executive function difficulties of each child, assessment for identifying the difficulties, and interventions for dealing with the difficulties. An additional case study is discussed in detail in one of the concluding chapters, and a companion CD will provide the practitioner with a wealth of assessment forms, parent and teacher handouts, behavior tracking charts, and report/documentation forms. This leading text and clinical guide offers best-practice recommendations for assessing a comprehensive array of child and adolescent mental health problems and health risks. Prominent authorities present evidence-based approaches that can be used in planning, implementing, and evaluating real-world clinical services. Coverage encompasses behavior disorders, mood disorders, anxiety disorders, developmental disorders, maltreatment, and adolescent problems. The volume emphasizes the need to evaluate clients' strengths as well as their deficits, and to take into account the developmental, biological, familial, and cultural contexts of problem behaviuor. In stock now. Provides an excellent in-depth analysis of how to administer, score and interpret the WISC-IV and WPPSI-III. The fifth edition of Assessment of Children: Behavioral,Social and Clinical Foundations is designed to be used as an independent text in such courses as personality assessment, behavioural assessment, and child clinical assessment. It can also be used together with Assessment of Children: Cognitive Applications, Fourth Edition and Assessment of Children: Wisc-IV and WPPSI-III Supplement to provide in-depth coverage of assessment of children. Like former editions, the fifth edition is designed not only as a teaching text but also as a reference book for students and professionals. This is a major revision. Every chapter has been rewritten to make the text more comprehensive,relevant,readable up to date, and informative. The book contains new chapters on assessment theaory,psychometrics,culturally and linguistically different children, and report writing. We have given expanded coverage to broad measures of behavioural, social and emotional functioning and to parenting and family variables. In addition, we have included reviews of specific measures of assessing antisocial behaviour disorders, anxiety disorders, depressive disorders, risk of suicide, and substance abuse disorders. This book is the leading assessment text in the field. Like the former editions, this Fifth Edition is designed both as a teaching text and a reference source for students, practitioners, and clinicians. It is a major revision. Every chapter has been rewritten to make the content more comprehensive, relevant, readable, up-to-date, and informative. Extensive art work has been added. The book contains new material on ethical guidelines related to assessment, the IDEA �97, brief intelligence tests, achievement tests, language tests, and assessment considerations relevant to the evaluation of culturally and linguistically different children. The book expands the coverage of the Wechsler Intelligence Scale for Children: Third Edition, the Wechsler Intelligence Scale: Third Edition, the Stanford-Binet Intelligence Scale: Fifth Edition, general testing techniques, administrative techniques, psychometric considerations, assessment theory, and the assessment process. Includes a separate book titled Resource Guide to Accompany Assessment of Children Cognitive Foundations 5th ed. Meeting a crucial need, this book provides clear recommendations for authentic developmental assessment of children from infancy to age 6, including those with developmental delays and disabilities. It describes principles and strategies for collecting information about children's everyday activities in the home, preschool, and community, which provides a valid basis for intervention planning and progress monitoring. Throughout, the book emphasizes the importance of enlisting parents as partners with practitioners and teachers in observation and team-based decision making. Special features of this well-organized, accessible volume include recommendations for developmentally appropriate assessment tools and "Best-Practice Guidepoints" in each chapter that distill key professional standards and practices. This expanded and updated second edition of "The Child's World" is the accessible and comprehensive multidisciplinary guide to assessing children in need and their families. The book not only provides an explanation of the Framework for the Assessment of Children in Need and their Families, but also a wealth of information on how to implement it sensitively and effectively, summarizing the latest research, policy and best practice. "The Child's World" covers: the assessment framework; the process of assessment; assessing the developmental needs of children; assessing parenting capacity; and, assessing family and environmental factors. This book is essential reading for practitioners in children's and adult services using the Framework, and will also be a valued source of knowledge and guidance for those working in legislative contexts outside of England. Mental health and allied professionals will come away from this text with knowledge of how classification decisions, a focus on pathology, and reliance on popularity can cause errors. Hazards involved in data collection and team decision making such as groupthink are discussed. Part 1 provides an overview of the context in which clinicians make decisions. Part 2 describes common sources of error. Part 3 describes decision aids including the process of evidence-based practice. Part 4 describes the application of related content to different helping phases including assessment, intervention, and evaluation. Part 5 suggests obstacles to making well-informed decisions and how to encourage lifelong learning. Evidence-based practice, Screening issues and practice errors, Lifelong learning, Problem solving, and Decision making. An interactive, dynamic book filled with insightful examples, useful lists and guidelines, and exercises geared to encourage critical thinking, this book provides an essential resource for helping professionals and students. Quickly acquire the knowledge and skills you need to confidently administer, score, and interpret the KABC-II Now designed for children aged three to eighteen, the KABC-II is among the top tier of children's tests of cognitive ability. The best source of information on the new edition of the K-ABC, Essentials of KABC-II Assessment provides students and practitioners with an unparalleled resource for learning and application, including expert assessment of the test's relative strengths and weaknesses, valuable advice on its clinical applications, and illuminating case reports. Like all the volumes in the Essentials of Psychological Assessment series, this book is designed to help busy mental health professionals quickly acquire the knowledge and skills they need to make optimal use of a major psychological assessment instrument. Each concise chapter features numerous callout boxes highlighting key concepts, bulleted points, and extensive illustrative material, as well as test questions that help you gauge and reinforce your grasp of the information covered. The book will stimulate teaching of storytelling tests in professional psychology doctoral programs in a more responsible manner than heretofore. This book can potentially foster the usage of objective scores for the TAT and assist in restoration of its credibility for low inference interpretation by reducing a current vulnerability to criticism as a "projective interview" rather than a bona fide test. This is a valuable resource for clinical psychologists, school psychologists, neuropsychologists, and students in clinical and school psychology graduate programs. 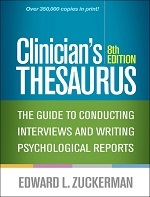 The book is packaged with an accompanying CD-ROM containing scoring tables, case report material, worksheets, and a user-friendly software program that fully automates the interpretive system, making Essentials of WAIS(R)-IV Assessment the best and most authoritative resource of information on this test. Essentials of WPPSI� -III Assessment offers state-of-the-art instructions for administering, scoring, and interpreting the revised and updated edition of this widely used cognitive assessment instrument for preschool children. Coverage includes insight into every revision of the WPPSI� -III. Clear interpretive guidelines help WPPSI� -III users navigate through the scores from fourteen subtests, seven of which are new. The authors highlight common clinical applications of the WPPSI� -III, such as assessment of language disorders, giftedness, and mental retardation. In addition, the authors provide expert guidance on how to perform cross-battery analysis to link WPPSI� -III results with achievement measures, such as the WIAT� -II. Like all the volumes in the Essentials of Psychological Assessment series, this book is designed to help busy mental health professionals quickly acquire the knowledge and skills they need to make optimal use of a major psychological assessment instrument. Each concise chapter features numerous callout boxes highlighting key concepts, bulleted points, and extensive illustrative material, as well as " Test Yourself" questions that help you gauge and reinforce your understanding of the information covered. The addiction field has long needed a comprehensive set of exercises counselors could use to guide patients through good treatment. This 12-step treatment plan workbook for those addicted to gambling includes identifying character defects and relapse prevention. Produced by the World Health Organisations (WHO), Geneva. The guide is designed to be an inexpensive, quick and accessible reference to the WHO compiled classification system (ICD-10) for psychiatric and behavioural disorders. Brings together the Glossary with the Diagnostic Criteria for Research and diagnostic notes extrapolated from the Diagnostic Criteria. The new classification will appeal to many user types - clinical psychiatrists in training and practice, researchers, medical records clerks and administrators.Classification of diagnosis in psychiatry is based on the patient's clinical history and observed behaviour pattern. For both experienced psychologists and graduate students, this book moves quickly through the essentials of WISC-IV interpretation and onto an insightful analysis of the major cognitive domains assessed by WISC-IV. It is the intention of the editors to raise the standard of practice from a simplistic 'test-label-place' model to a clinical model of assessing to understand and intervene. In the first chapter, the reader is presented with a comprehensive array of societal and home environment factors for which there is empirical evidence indicating their impact on the development of childrens cognitive abilities, and ultimately their scores on intelligence tests. Subsequent chapters address issues related to the assessment of cognitive abilities that compose 'g', with special emphasis on the clinical correlates of working memory and processing speed from both neuropsychological and cognitive information processing perspectives. Each new chapter builds on material presented in previous chapters and progresses the reader purposefully through deeper levels of understanding of WISC-IV and cognitive assessment in general. Two chapters explicate the processing approach to interpretation that is the corner stone of the WISC-IV Integrated. A further chapter addresses the interpretation of WISC-IV findings within the context of other instruments as part of a full psychological evaluation. The final chapter provides an extensive case example of how to write psychological evaluation reports from a child-centered rather than a score-centered perspective that can have transforming impact on parents and teachers approach to the child. The Wechsler Intelligence Scale for Children: Fourth Edition (WISC-IV) is one of the most often used measures to assess intelligence and cognitive functions in children, ages 6-16 years. The second edition of the WISC-IV Clinical Assessment and Intervention will include new information obtained from the clinical use of the WISC-IV in practice. Information on the basic use of the assessment tool is condensed from three chapters into one, with four new chapters discussing how to use and interpret WISC-IV with additional clinical populations. These new populations include pervasive Developmental Disorders including autism, Social and emotional disorders, psychiatric disorders, and medical disorders that may affect intelligence. An additional new chapter discusses intervention planning across patient populations. Each of the chapters (revised original chapters and new chapters) will additionally include case studies including diagnosis and intervention. Overall, the material in the book is 65% changed, new, and updated. These changes make the second edition better able to meet a clinician's needs in using and interpreting this test.